The rules of the publishing world have changed dramatically during the last decade. Media and marketing are no longer two different kingdoms as they used to be. Brands now have more power and opportunities to communicate directly with their audiences using media platforms that used to be unattainable for marketers. Another element that disrupted the traditional publishing world was the emergence of new tools and strategies for content marketing. Because of all these reasons, businesses are increasingly turning to native advertising today. Native advertising can bring organizations significant business value – but only if it’s executed as part of a well-designed content marketing strategy. 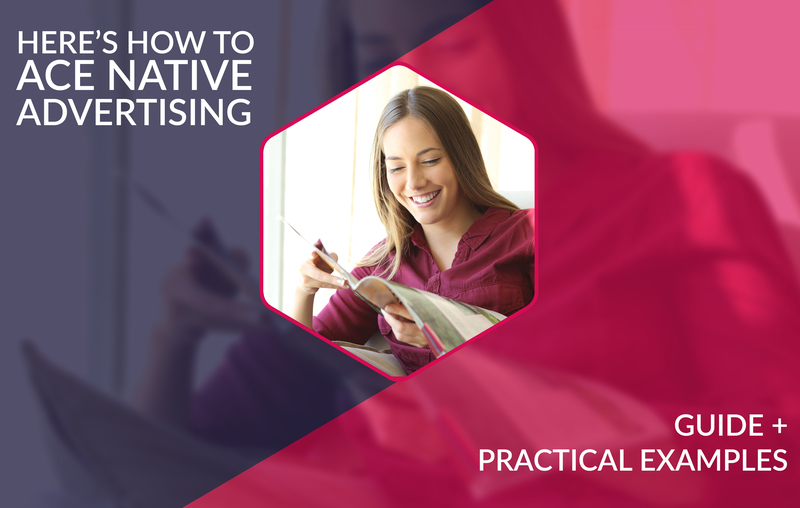 Read on to find out what native advertising is, how it works in practice, and how to get it right for your business. The classic form of native advertising is the so-called advertorial. An advertorial is an advertisement published in a newspaper or a magazine that appears in the style of an editorial or journalistic article. In reality, it’s an advertisement that promotes a product or service. This definition isn’t wrong, but the rise of digital media had an impact on it. New digital channels of communication inspire marketers to change their approach toward this technique and expand its definition to include other elements. So here’s what native advertising means today: it’s a paid or third-party advertising format that supports branding or direct response goals. The idea is that the brand content matches the form, function, and quality of the published content. It’s always a direct paid opportunity – brands need to pay for the placement of their content on platforms which are external to their owned media properties. Native ads focus on information rather than product – to do its job well, a native advertising campaign needs to be interesting and highly targeted to the audience of the particular media channels. Native advertising is never explicitly product-oriented, but instead discusses common problems, needs, and desires that the product addresses. It’s delivered in-stream – native advertising doesn’t disrupt the user experience like traditional advertising (think magazine ads or website banners). It’s smoothly integrated with the media format and doesn’t affect the users’ regular behavior on the channel in any way. Brands should start thinking of native advertising as a way of distributing high-quality content so consumers can discover and engage with them on media channels that owned. That way, consumers get to interact with your brand in a new way and recognize it as a thought leader in its field. The main idea behind native ads is that they give your content greater visibility than it would otherwise receive on your owned channels. Brands also get the opportunity to build relevance and authority among their target audiences. By placing your content on reputable information sources, you will engage a broader audience and build positive brand awareness among your target. You’ll be sharing insights and perspectives rather than just promoting your products so your brand will be seen as an industry leader. 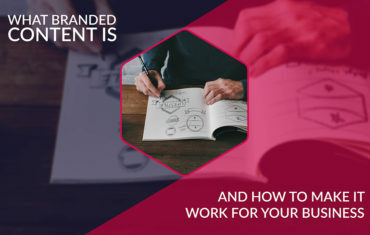 Publishing sites with an excellent reputation that decide to include branded content on their platforms will also offer you the benefit of implied endorsement. Here’s another benefit: Digital advertising often suffers from a phenomenon called “banner blindness.” Seasoned Internet users basically no longer pay attention to such ads. By publishing your content as native ads, you will allow your content to break through that blindness. Note that native advertising offers a lot of flexibility as platforms allow incorporating text, photos, visualizations, video, or even interactive features. You can deliver a rich and engaging experience to your target audience that smoothly blends with the publisher’s organic offer. And publishing is often easier than you’d expect. Publishers offer self-service tools you can use to develop, launch, and optimize your native advertising campaign. Such campaigns can fit practically any budget too. Finally, native ads offer an ideal opportunity to repurpose content. You don’t have to develop new assets for that particular purpose but use high-quality content you’ve created beforehand. Search ads – they appear in-stream and fit within the form and function of other entries on a search engine results page (SERP). Businesses use such narrowly targeted placements to drive direct response which can be a sale, download, or data capture. In feed units – these appear alongside other content in a news feed. They look and function like organic posts, with the only difference being that they’re marked as sponsored. For example, a sponsored post on Instagram or Facebook is an excellent example of in feed units. Paid blog posts – many larger media companies offer that type of native opportunities through partnership platforms. For example, Forbes runs a brand voice platform where the magazine invites experts to contribute. 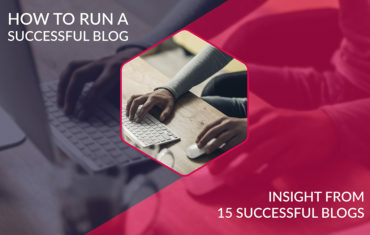 Usually, paid blog posts are published on a co-branded site page, and the focus is on building thought leadership, never advertising. Such blog posts are useful for audiences who want to dive deeper into topics that are relevant to their interests. Recommendation widgets – these widgets create a place for sponsored stories to appear on a page. Most of the time, they’re located under or alongside the site’s organic editorial content. 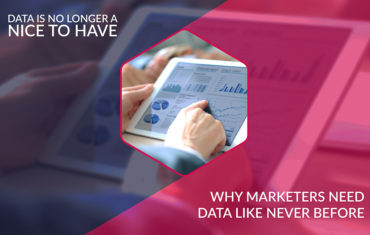 Content marketers should decide which units they will be using on the basis of their campaign goals and the unique capabilities of target publications. Never misrepresent the nature of promoted materials in any way. Identify clearly any sponsored or branded content. Disclose any information to avoid deception – for example, that the content comes from your company and not from the publisher. Do some research – before exposing your content to your target audience, do your homework and select content which is closely aligned with user intent. Configure your campaign carefully – you don’t want to be showing your content in the wrong place at the wrong time. For example, you don’t want to display sports gear to a user searching for a wedding gown. That type of exposure will only leave the consumer irritated because of the clear mismatch in user intent. So how can you create eye-catching native advertising content which is just as compelling as an organic one? It pays to learn from the best. Here are three examples of native advertising campaigns that delivered fantastic user experience and helped brands achieve their critical business goals. The Spanish financial services company Santander put together native and traditional advertising to attract new customers and support all their informational needs – from the level of brand awareness through conversion. First, the prospects would see a sponsored article about how home-improvements make a property more valuable. Santander shared that content on their Facebook profile. The prospect would then read a related article from Santander about how to get the best interest rate when borrowing money for a home improvement project. At this point, Santander will drop a cookie on the reader’s computer and retarget them with display ads on other sites. If the prospect clicks on the display ad, they can read about getting a home improvement loan. Finally, prospects who carry out research on Google will see native search ads leading them to Santander’s site where they can start the loan application process. Mapping out the entire journey from brand awareness, through engagement, to conversion brought some really great results for the bank. Users see dozens of advertisements every time they check their news feed. Brands know that passing by their promotions or native ads without a second thought is what happens most of the time unless they do something different. Marketers are doing everything they can to attract the attention of users in new ways. Here’s an excellent example of how native advertising brings the best results on Instagram when it relies on an unusual type of engagement. The 10% Happier app recently included a sponsored post on Instagram where it challenged users to focus on a bouncing red dots for 10 seconds, inspiring them to learn more about the benefits of meditation. The post was simple and straightforward. All it did was ask users to focus their attention on a red dot. So simple and yet so effective. The posts talked about life on the Chesapeake Bay and experiences as a freshman in college. The native ads were distributed across the website and its multichannel social media, giving them massive reach and mobile accessibility. Washington College reported that the campaign resulted in a 77% page-view increase on Facebook and a 94% page-view increase to its website homepage (year-over-year). Finally, the campaign generated 373 applications inquiries and earned a college the 2018 Content Marketing Award for native advertising/sponsored content. By using a user-friendly media platform to distribute their content, Washington College managed to attract the attention of high school students and raised brand awareness to the next level. These examples show how native advertising can help to increase content visibility, engage the audience, and achieve marketing goals. Do you have any questions about native advertising? Please share them in the comments section, where we want to start a discussion about native advertising practices and what it means to publish sponsored content on media platforms that are not owned. Share your thoughts and join the conversation!